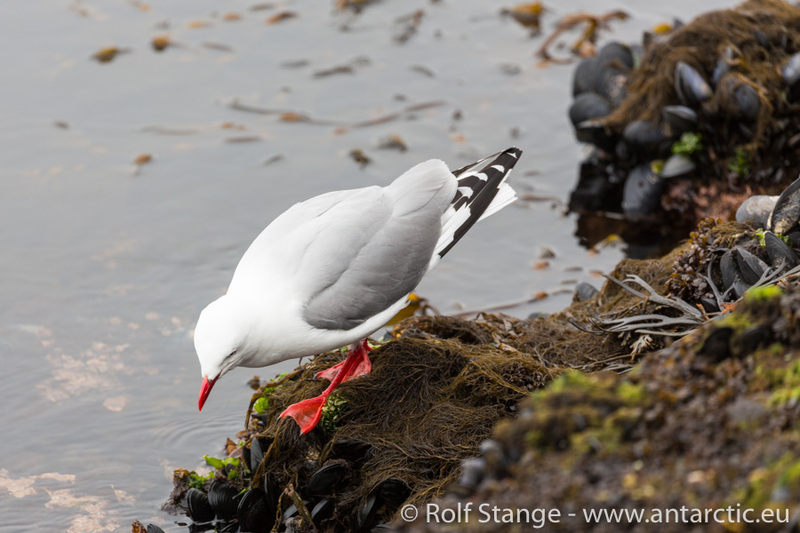 Yeah – we did go ashore, and not just a little bit! 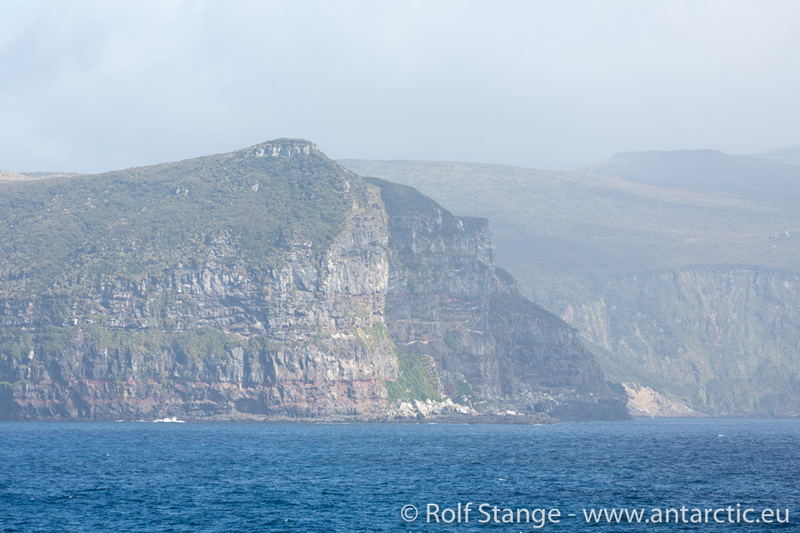 During the morning, Campbell Island came slowly out of the low clouds. 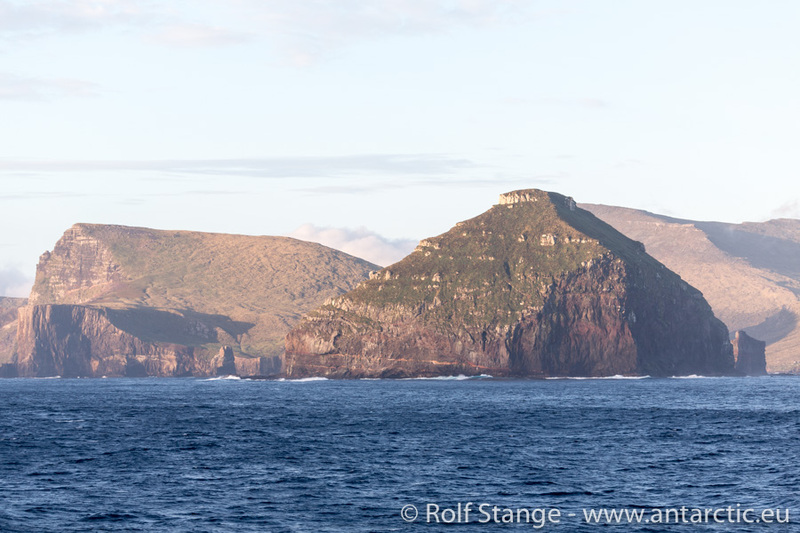 A green, wild island in the middle of a grey, wild sea. 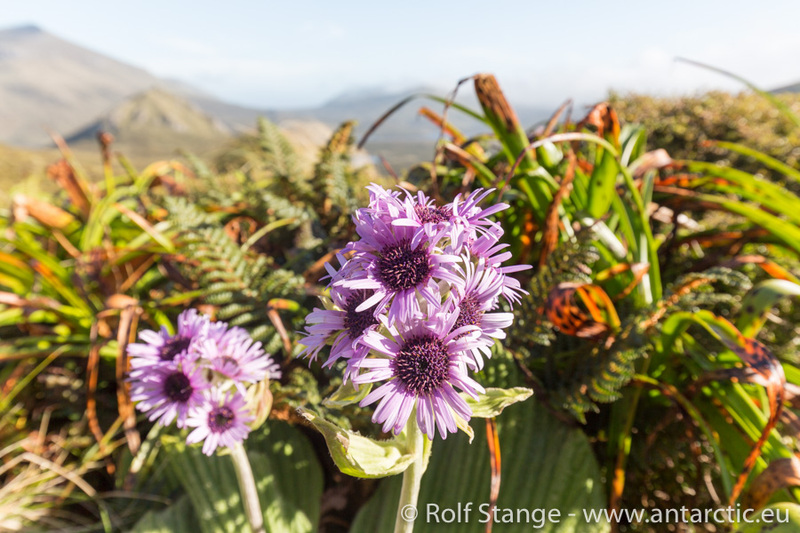 If you are prepared for antarctic conditions, then the mild temperatures may surprise you. It seems warm, insects are in the air. 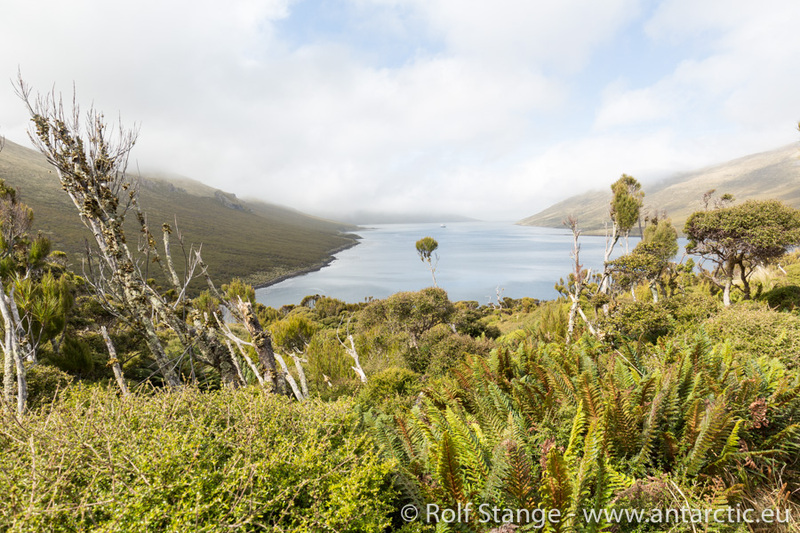 High grass and shrubs, almost making the impression of little trees, are forming a rather peculiar vegetation resembling low forests on the lower slopes. 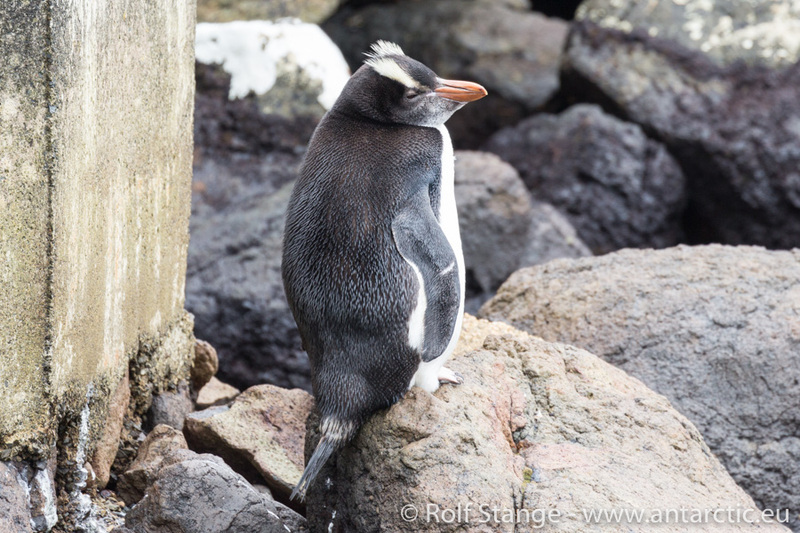 A lonely penguin near the shore turns out to be an erect-crested penguin, a new species for me. Erect-crested penguins are only breeding on the Bounty Islands and the Antipodes. Talk of luck. 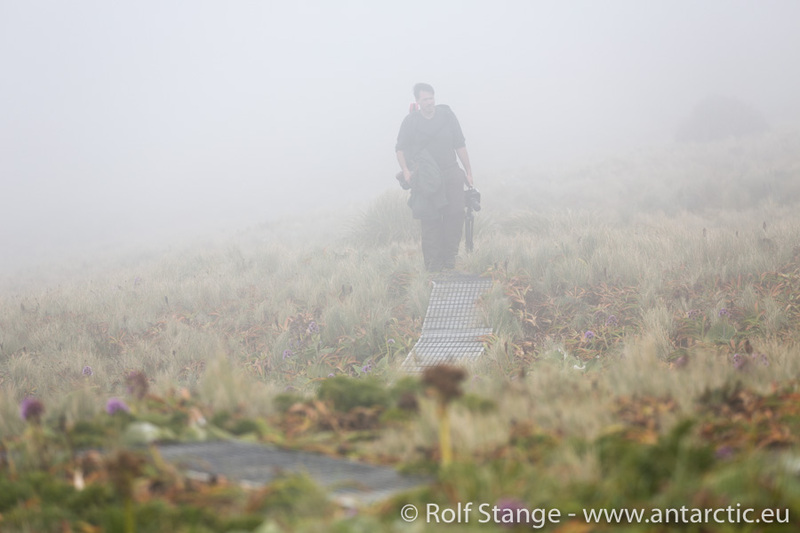 A boardwalk leads up the hill, passing the wooden buildings of an abandoned weather station and continuing through the dense dwarf forest. The views between the small trees onto the bay are lovely. Surprisingly large herbs are growing on large areas as we get higher up in the terrain, they are known as megaherbs, an appropriate name. The wind is getting fresher as we are getting higher and it is turning clouds into cold fog banks. 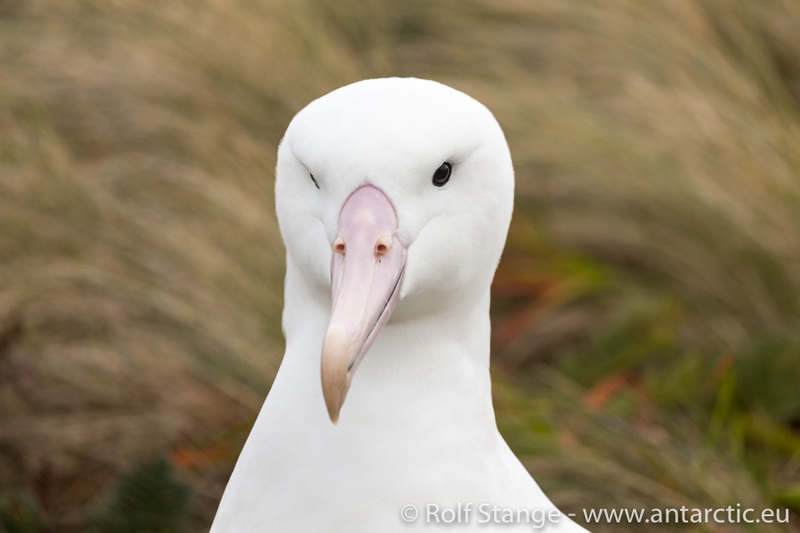 White dots every here and there on the grassy slopes turn out to be albatrosses sitting on their nests. 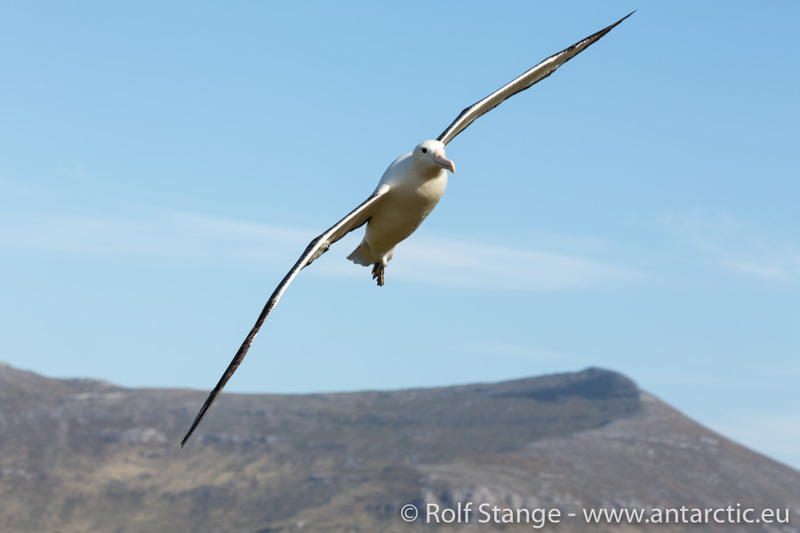 Royal albatrosses, which closely related to the Wandering albatross, the world’s biggest bird according to the wingspan. Only small details of the beak and plumage tell the difference. The huge birds are spread everywhere, keeping their chicks warm in their nests. The chicks will be just a few days old by now. 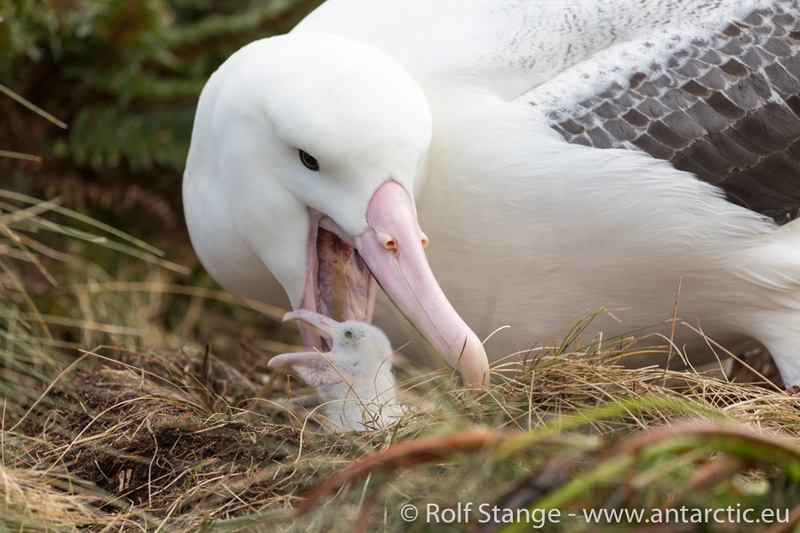 We are very lucky to observe albatrosses in a relatively close distance, feeding chicks and greeting partners upon return to the nest. 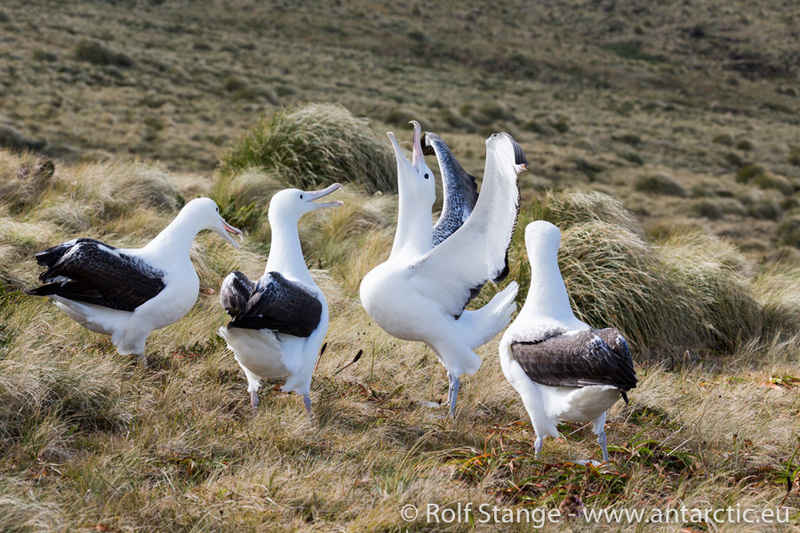 Those few of us who can’t leave are treated with a group of albatrosses which comes to land just a few metres away from us, socialising with one another. It is no less then six in the end which are dancing and making strange noises. An unforgettable experience, especially as the fog has by now given way to the blue sky and evening sun. 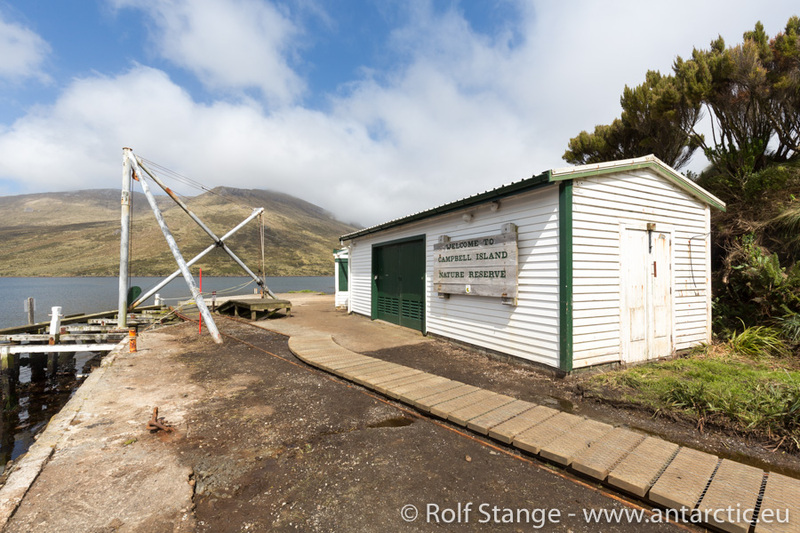 After a long afternoon on shore it is time to say goodbye to Campbell Island. Two years ago we spend one and a half day watching the island in a howling gale without getting really close to it. What a contrast. An unforgettable afternoon in a very special, unique world. In the evening it is time to set course to the south. More than 1100 miles are separating us from the Ross Sea, we will spend at least for days crossing this stretch of the Southern Ocean.